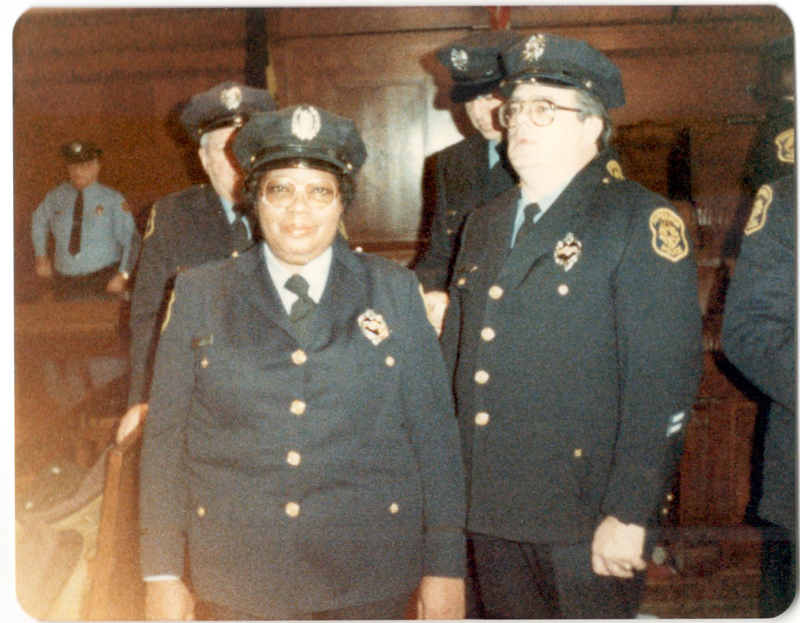 Gwendolyn Elliott started off as little more than a nuisance to her fellow Pittsburgh patrol officers. They were annoyed they had to work alongside a woman. A black woman. They tried to make her job miserable. They’d leave stuffed monkeys or black baby dolls in her locker. One night in 1976 — not long after she had joined the bureau — she was walking her Downtown beat. A call came over her radio that a burglary was in progress at a department store on Fifth Avenue. Her male colleagues pulled up in a squad car, which she wasn’t allowed to drive because she was a woman, and told her to ease up. Go around back, they said. Biting her tongue, Elliott did. But as she rounded the store’s corner, she noticed a hole in the wall. Peering in, she saw the burglars, hurriedly stuffing expensive sweaters into a sack. Elliott froze. She was new but she knew she had to do something. If she did nothing, the burglars could get away. If she called for backup, the burglars would know she was there. Who knows what would happen then? But then, a rat made the decision for her. The rodent ran across her foot. She yelled. The burglars, thinking she was yelling at them, froze. They put their hands up. They were caught. Elliott jolted and made the arrest. 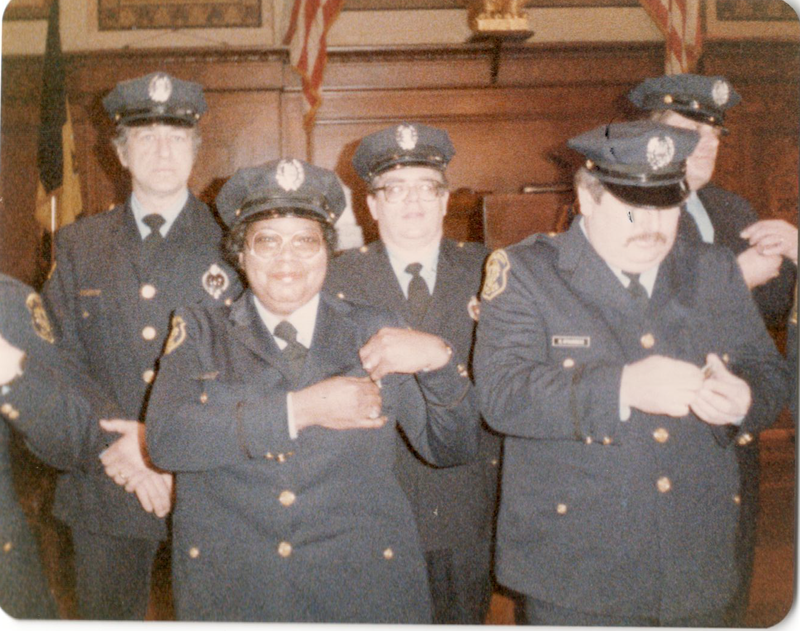 But that Elliott — who would become the first black woman to serve as a commander in 1986 — was on the force at all seemed to be proof that a court order to diversify the Pittsburgh police was working. That order, issued by a federal judge in 1975, said that for every white man the department hired, it had to also hire a white woman, a black woman and a black man. By the 1990s, more than 27 percent of the force were women. But then, a countersuit that alleged the department was reverse discriminating against white people caused a federal judge to throw out the hiring mandate in 1991. As the National Center for Women and Policing noted in a 2003 study, the number of women hired each year dropped dramatically. In the next decade, that rate would drop from 50 percent each year to 8 percent. In 2001, women made up 22 percent of the force. Now, women account for 16 percent of the police force. In the 25 years since the court order was lifted, the department has run into other problems. From 1997 to 2002, it was forced into a formal consent decree by the U.S. Department of Justice, this time for accusations of brutality, stopping people without reason and disrespecting citizens. Then, in 2012, the department came under fire for the shooting of Leon Ford at a traffic stop. And in 2013, then-chief Nate Harper was indicted on corruption charges. Now, in the era of videotaped police shootings and headstones emblazoned with the names of Michael Brown, Eric Garner, Freddie Gray and Alton Sterling, the level of trust between police and community is low and relations between police and citizens are tense. In Pittsburgh, the police department's unprecedented analysis of use of force, released last week, showed that when officers used force, they were most likely to do so against a person of color. So how to diversify the force again and increase the level of understanding and trust between police and the community? It is clear to Kathi Elliott, Gwen Elliott’s only daughter, that police departments, including Pittsburgh’s, need to diversify. But she isn’t convinced a second court order would work today. While she originally floated the idea that a second hiring mandate could be a good first step to diversifying a police force that is currently only 13 percent black, she becomes unsure as she talks through her reasoning. She knows police forces need to be physically more diverse, but officers also need to be more understanding of the communities they serve and those communities need to learn to not fear the officers. But also, would anyone step up to fill the mandated roles if they were available? Even as a police commander’s daughter, Elliott calls the deaths of Michael Brown and the others homicides. But those “senseless killings” represent a larger, institutional problem in modern policing, she said. Unlike when her mother walked a beat here, police aren’t ingrained in their communities as much anymore. They aren’t a welcome sight in many neighborhoods, and the residents don’t know their names in most cases. Another problem is mass incarceration. Instead of trying to understand the people they interact with, Elliott said too many police officers immediately turn to handcuffs, often leaving broken people and homes in their wake. Diversifying the police force is the first step, she said, for the department to get back to its community policing roots. When an officer cruises the streets with a partner who isn’t the same race or gender as they are, she reasons, they begin to understand that person’s background and culture, which can help them understand more people of different backgrounds. Yet in today’s climate of heightened awareness of police brutality, Elliott knows that solving the relationship issues between police and communities is not easy. When Kathi was 5, she would call out, “Don’t get shot, mommy,” or “Come home!” to her mother as she left for work, acknowledging that police officers were often put in harm’s way. While she doesn’t want police officers to go to work fearing the people they’ll encounter, she doesn’t want black people and other minorities fearing police officers either. “At this point, I don’t deal with it. It’s just something that I’m continually processing. Especially when new things occur, we hope and pray that another senseless murder doesn’t occur,” she said. Since he took the job in the fall of 2014, Pittsburgh Police Chief Cameron McLay has made a concerted push for community policing, holding public safety meetings and being vocal about improving diversity in the force. Kathi doesn't see progress just yet. Through her post as executive director at Gwen’s Girls, the nonprofit her mother founded, she knows too well the race-based injustices embedded in Pittsburgh institutions. She references a recent report that showed black girls in Allegheny County are referred to the juvenile justice system at a rate 11 times higher than white girls. 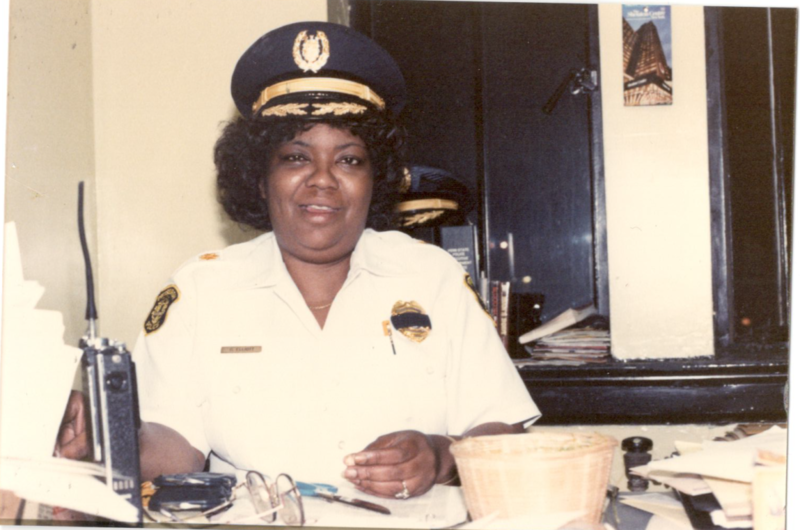 Gwen Elliott, who served as a police officer until 2002 and died at age 62 in 2007, worked her entire life to give those girls and other minorities a voice. “I think she would be focused on ways to not only mend relationships between police and the community but also how can we in a meaningful way reduce the violence and some of the things going on in our communities,” Elliott said. Reach J. Dale Shoemaker at 814-215-0509 or at dshoemaker@publicsource.org. Follow him on Twitter @JDale_Shoemaker. How is the success of economic development measured? It depends on who you ask. The question of who is benefiting from development is one government officials, developers and neighborhood leaders grapple with as new construction drives change in Pittsburgh. Property owner Prasad Margabandhu’s practices serve as a prime example of the challenges municipalities and tenants face when trying to hold landlords accountable for failed properties and dangerous conditions.